Marijuana can help you fall asleep fast and stay asleep through the night — especially if you’re smoking a heavy indica strain. Find out which 10 indica strains we recommend to get that deep slumber you deserve. Cannabis is an incredible sleep aid that can treat insomnia and knock out even the most high-energy people. Thanks to indica’s pain-relieving properties, it can make sleeping easier for those with chronic pain as well. It can be hard to choose the perfect strain when there’s so many different options out there. Dank has compiled a list of some of the best indica strains for sleep that will have your eyelids feeling heavy in no time. If you want a good night’s rest – scratch that, a great night’s rest – then let 9 Pound Hammer knock you out. A few hits of the hammer and it’s lights out for everyone involved. 9 Pound Hammer is the epitome of a heavy-hitting strain. Whatever muscle tension or physical stress you’re experiencing, you can expect it to melt away after this smoke session. This strains leaves the user in a state of full-body sedation while experiencing a dreamy, disoriented high. 9 Pound Hammer gives off a fruity yet tropical fragrance; you’ll also taste traces of citrus, grape, lemon, and pine thanks to the terpenes at work in this bud. This strain should definitely be used during the evening or nighttime, since you can expect to end up couch-locked with your energy sapped. Purple Urkle is a strong strain sometimes referred to as the “two-hitter-quitter” — generally just two hits is enough to feel the full effects. This strain is great for insomnia, stress, and pain relief. You’ll definitely feel the effects as it hits your mind and body, leaving you in a state of relaxation and euphoria. Purple Urkle has a skunky yet sweet aroma, with hints of grape and berries. Definitely give this strain a try if you’d like to experience a deep and full night’s rest. Bubba Kush has gained a stellar reputation in the cannabis community and throughout the world as an effective sleep aid. This tranquilizing strain has a mellow hashish flavor with hints of chocolate and coffee. Bubba Kush’s relaxing effects can be felt throughout the entire body. Smoking this strain will release tension from your muscles and make you feel heavier and more relaxed. This is a wonderful nighttime strain to put the mind and body at ease. Granddaddy Purple, also known as GDP, is one of the most popular indica strains on the market. This strain is a potent blend of Purple Urkle and Big Bud. GDP is used medicinally to combat stress, pain, muscle spasms, and other symptoms that disrupt sleep. You’re unlikely to leave whatever spot you’re in when you start smoking this heavy indica, so try this one right before bed. Granddaddy Purple will help you fall asleep fast, and stay asleep. Black Lime Special Reserve is one of those strains that you want to clear your schedule for. It has an absolutely wonderful terpene profile that produces hints of pine, black pepper, and lemon. Use this strain in the early afternoon or evening when you still need to be a little productive, but will be winding down soon. 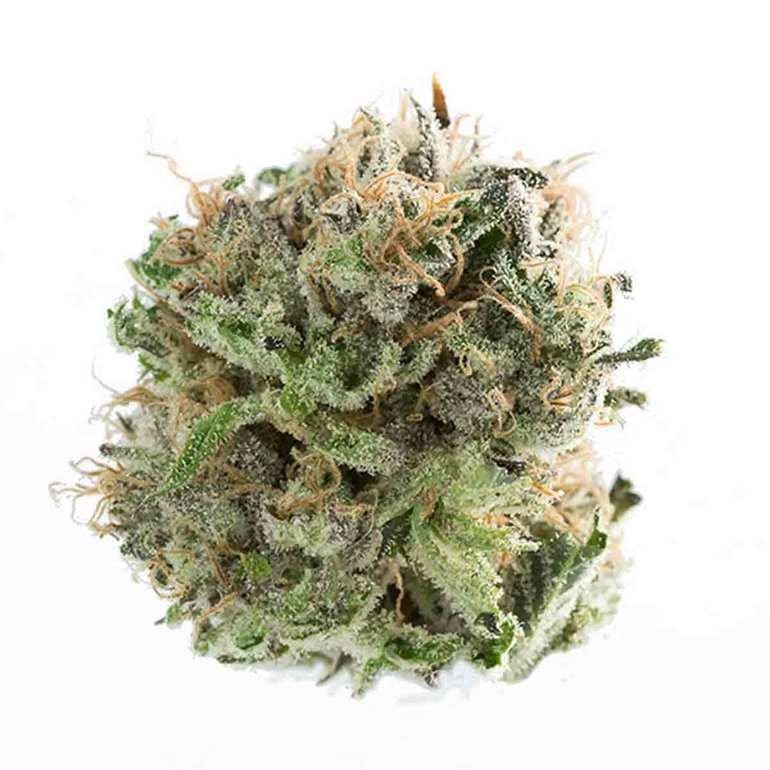 Unlike other indica strains, Black Lime Special Reserve will allow you to be focused and active for a bit before eventually helping you settle into bed. Smoking this uplifting strain will lead to a happy, pleasant evening before some much-needed shuteye. Blackberry Kush is a potent indica strain with dark purple buds. It’s dense and has a strong aroma that could be described as a blend between jet fuel and berries. You can expect this strain to sedate your body and leave you couch-locked or fast asleep. Thanks to these potent body effects, this strain is also recommend for pain management. Despite this, BlackBerry Kush will still put you in a powerful euphoric mindset and completely elevate your mood. The munchies are common while enjoying this delicious strain, so you may want to have snacks nearby — I doubt you’ll want to get up after this session! Grape Ape is a famous and beloved strain among the cannabis community. It has an unmistakable grape flavor with some underlying spiciness to compliment the sweetness. The aroma is a little skunky, but with powerful notes of lavender, flowers, and fruit. This strain is very relaxing with strong indica effects that will dominate your body. Grape Ape is great for muscle aches and can also help alleviate the symptoms of anxiety, depression, ADHD, insomnia, and other chronic illnesses. If you’re looking for an indica that you can use both during the day and at night, look no further than Grape Ape. LA Confidential is one of those old-school strains that you’ve got to try to experience for yourself. The profile of this bud is sweet and spicy. LA Confidential is one of those heavy-hitter indica strains that will leave you sinking into the couch after just a few puffs. Before the full-body sedation hits though, you’ll have a lifted and entertaining night. It’s a great strain to smoke in moderation while you watch a show or play a game before bed. Ultimately, you’ll end up in a deep relaxation with a smile on your face. LA Confidential is a calming strain, so a lot of people use it to deal with stress, anxiety, and insomnia. Blueberry Kush is a very potent indica crossed between the famous OG Kush and the aromatic Blueberry strain. When you hit Blueberry Kush, you’ll feel like you’re being washed over with a wave of relaxation. This strain is great if you’re suffering from chronic pain like shingles, fibromyalgia, back pain, and neck pain. Due to the high THC content, this strain also works great for stimulating appetites. Blueberry Kush is a great option if you’re having trouble sleeping due to pain or insomnia. You’ll find yourself lulled into a cozy slumber while you forget all your aches and troubles. Northern Lights has the ability to relax your muscles before sending you into a dreamy, euphoric state. You can expect to drift into a lazy, happy mood after smoking this strain. If you’re feeling any type of stress, Northern Lights is a great choice to help manage your mood. You’ll feel a lot more mellow and relaxed before you get the best sleep of your life. There are a lot of relaxing cannabis strains out there that make great sleep aids. While all the strains listed above are wonderful, they’re by no means the only good choices for bedtime. Continue exploring indica strains to find the one that works best for you. Whether you’re looking for relief from insomnia, anxiety, or chronic pain, indica can likely help you. Many people may knock indica for its couch-locking and sedating effects, but sometimes, that’s exactly what you need.